One of the best ways to get an inside scoop on what you might be asked at a job interview is to review hiring manager advice columns on what hiring managers should ask at the job interview. Hiring managers and all human resource staff are constantly looking to get advice on the best way to find good candidates. As an applicant, you can use that advice to help figure out what to expect at the interview. 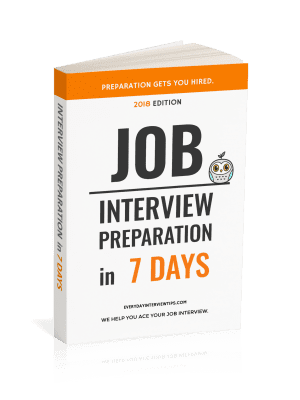 Recently a column came out in the Business Net newsletter entitled “The 7 Questions You Must Ask at a Job Interview.” It was written to give employers an idea of what to ask at the job interview in order to find the best candidate. So today, we’ll go the opposite route. We’ll look at what the employer might ask based on the above column, and use it to explain how you should best answer each type of question. Yes, this is a rapport question. The goal of these is to gain a friendship and a trust with the applicant. However, remember that every question is an interview question, even when it is a rapport question. Stay away from negative statements like “I don’t like baseball” or “The weather outside is annoying.” Keep it positive and upbeat. This is a behavioral interview question. 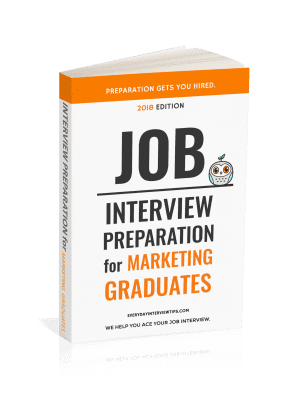 The employer is looking for you to give an example, so it is important to study up on behavioral interview questions (/questions-and-answers/behavioral-interview) and find a good example of a problem/obstacle in your professional career. Then make sure that you give an effective way that you solved the problem. Put more focus on the solution than you do on the problem. This is both a test of your ability to research the company/position and your ability to show you are interested in more than the money. Research the company thoroughly. Explain why you believe the company is important to you (using real examples of their offerings and innovation) and explain why you are a good fit for your role. These wild card interview questions are designed to throw you off your game. You cannot plan for questions that you do not expect. The key to these is to answer as though the question isn’t stupid, use a real thought process, and be prepared to explain your answer confidently. Stay away from anything negative, which includes religious arguments, personal dislikes, etc. Positive, confident attitude is key. Not the best example of the “situational questions” used in the article, but the key is to devise a real plan of action. For first day question you could discuss meeting staff members, setting up organizational sheets, etc. For “behind schedule” questions you can discuss what you do to prioritize. What’s important is that you have real, logical plans of action. Questions about your motivations are common. You should be prepared to discuss what motivates you both in any work environment and in the field. Again, stay away from money, stay away from competition. Discuss personal truths that help you enjoy the field. If you prepare a good answer it is unlikely you will turn off any prospective employers with this question. It cannot be emphasized enough how important it is to research the company, learn about all of their products and tools, and have plenty of questions to ask the company as well as the ability to discuss what is coming down the pipeline. Research and ask. Research and ask. Consider those two factors a huge key to success in your job interview. Though the questions will change, these types of questions are at every interview. Be prepared to answer these questions in the style mentioned above. Prepare for all types of interview questions. Prepare to answer these questions with confidence.